The analysis is what makes marketing a science rather than a game of chance. For many entrepreneurs, online marketing is an unnecessary expense, something that you will only dedicated budget to when all other areas are covered. This is because the result and performance of an online marketing campaign are uncertain: it may be a success and you can get new customers, or may be an apparent failure, in which you have lost time and money. 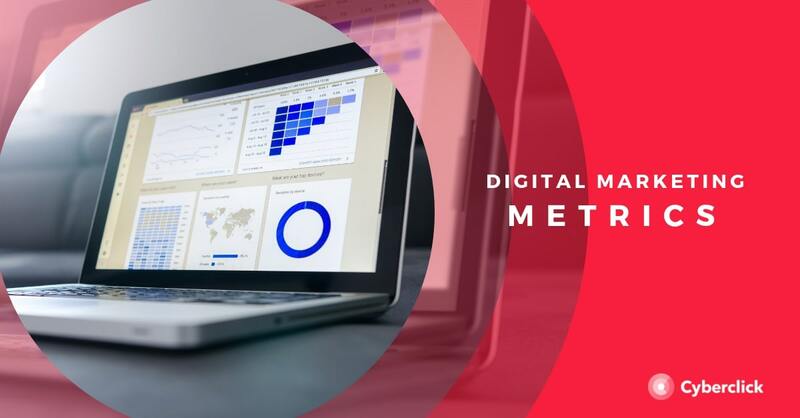 A regular and comprehensive analysis of the 12 most relevant metrics of online marketing will help you overcome this factor of unpredictability and ensure the success of your campaigns. Visits can be measured both on the main website and in any other relevant site for the strategy as a blog or landing page. Total views will help you have a global focus on how the actions that aim to drive traffic and detect problems work when this value changes drastically in a short period of time. This metric can be found at Google Analytics and lets you know how many visitors are new and how many are recurrent. You can find out if your site has sufficient engagement or outreach efforts are fruitful and detect what effect the changes you make have. Ideal for large campaigns, this metric available in Google Analytics lets you know which channels bring more traffic to your site (direct, through referrals, organic or social). Once you detect this, you can devote more resources to the most relevant channels. This tells you what percentage of users left the site after visiting only the home page, ie without having interacted with the site. It is desirable that this percentage is low, so if you find that you have a high bounce rate you should analyze what improvements need to be introduced to retain visitors. This is one of the most important metrics to measure the return on marketing investment. There are different definitions of conversion, so first you have to define your own (complete a form, a final purchase?) And mark your objectives. Scan this data with focus, low conversion could be the result of poor design of the strategy, bad deals, or a low quality of website visitors. The CPL is different depending on the type of strategy chosen for each of the channels, so it is a much more specific metrics than those mentioned so far. To calculate, compare the monthly cost of a campaign with the number of leads generated in the same period. Also be sure to take into account the "invisible" costs, such as time, commissioning and other associated expenses. A global marketing strategy that is also made up of actions on social networks. Select those networks or channels you want to have present and closely follow the evolution of the popularity of your pages (likes, followers...). It tests what actions bring more traffic to your networks. Interaction includes all actions in which users engage with you on social networks. Keep track of your publications “likes” (applause rate) and “shares” (amplification rate). Both will provide valuable information about the interests of your followers so you can optimize actions. This is made up of those actions of users that while they don’t generate a story about publications, they show us some interest on them. Some are reproductions of videos, displaying images, clicks on embedded links etc. And help us to have a deeper understanding of user behavior on the page. In the same way as the web site, we must define what is a conversion for us and with them, compare the number of actions performed with the conversions obtained through them. Regularly reviewing these metrics will help your campaign to be much more effective and also have more control over the investment and its return. You just need time to refine your actions, so ... shall we start? The reality of online marketing is very simple: if you do not measure, you do not advance. You can find out what are the best techniques to attract visitors to your website, the more help convert or generate more interactions. However, if you do not measure the impact of each bit can progress towards success. In the following lines you are 5 simple marketing metrics you probably don’t know of, that when applied can be highly effective. Typically, professionals that control aspects of marketing in a business know by heart what the cost of acquiring a new customer is, however, the percentage of those costs belonging to marketing is a fact that can help and advance a project, however, few companies have it in mind. If you notice that there is an increase in the % M-CAC (Percentage of Marketing in the Customer Acquisition Cost) means that sales have declined probably because it has lost share or you're simply spending too much on marketing so you can focus efforts in sending your team of more qualified sales leads. Negative Feedback on Facebook is one of the marketing metrics that we consider more interesting and disregard may lead to continuously repeating errors that may be causing followers to escape or simply the use of the social network is not us we expect to result in profit. With it what you do is measure any negative action that has been done by our fans, for example, a publication hide, hide messages of our website, choose a 'Unlike' report or any of our messages as spam for a certain time. This helps us locate publications that are causing these leaks or negative feedbacks to reorient our content strategy. Objective Completed (Completion Goal): The total number of conversions. Objective value (Value Objective): It helps us to assign a dollar value to a goal in order to provide a way to compare conversions and measure changes and improvements to the site or APP. First we have to score the goals we want for our companies. And then, these objectives can be defined in Google Analytics to find out if you are complying with the figures you've marked on target. Page Authority and Domain Authority are two marketing metrics created by Moz marketing a website reference in the world of SEO. Domanin Authority predicts the possibility of positioning in search results of an entire domain or subdomain. While Page Authority measures the possibility of positioning or ranking in the search results a particular page. It is an excellent study support tasks from the competition. That the content of your blog or site more attractive and provide valuable information. Onboarding is the best, ie the process to increase the likelihood that new users adopt our product or service. There are many marketing metrics, not all equally effective, and equally suitable for all cases. We've discussed here some that are perhaps less used and yet, they can bring key information to any business in the network, regardless of their activity or sector. This marketing metric is basically all attribute value to the first or last performed the lead contact with the web when the sale took place. That is, if the consumer has entered the site through the blog, you read an article, then another and then you made the purchase, in the case of the allocation to First Contact, recognition shall have the first post the blog has read. Attribution to the last contact occurs at the end element with which the user interacted just before purchase. In 2014, more specifically later this year, Twitter launched a series of marketing metrics and one of them was just Twitter Engagement Rate. The aim of this tool is to calculate what % of your fans have taken action with a tweet. You can calculate the TER dividing the number of social interactions (engagement) by the number of followers you have at that time. Then multiply the result by 100 to get the percentage. The Twitter Engagement Rate is used by selecting a specific date in time. This metric can help to find out which tweets and those who work and learn what are the best techniques to motivate followers. Receive information through the newsletter. Receive news of the blog. The key to success is the alignment of sales and marketing teams. Both must work together seeking the same goal, being the key to all the ability to correctly identify the Sales Qualified Lead. A common approach to identify leads that are ready for sale is BANT: Budget, Authority, Need and Timeframe. With this system you can learn more of the Sales Qualified Lead and sales and marketing departments can work together to grow the company and feeding back to each other. When we speak of Share of Voice we can say that this is a marketing metric that takes into account the number of conversions of our brand relative to our competitors in the same market. It is important to know what is said about you on the Internet in order to enhance the particulars on different platforms, networks, media or blogs. Maybe people are talking about your brand on Facebook and Twitter, but instead are rarely mentioned in the forums of opinion. You will then have to strengthen your appearances in those sites where your presence is weaker. The formula to calculate this metric is to divide the number of conversations or mentions of the brand by the total number of conversations or mentions about other competing companies (which you choose). Which of these metrics did you know? What metric known or little known, do you consider essential to implement?